Richard Bach has said that there is no such thing as a problem without a gift for you in its hands. 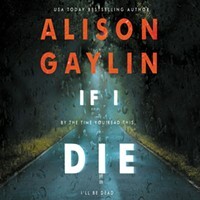 The warmhearted and indefatigable private detective created by Alison Gaylin in And She Was is living proof. Impacted hugely by her own sister's disappearance when she was a child of 10, Brenna developed a rare psychological condition called hyperthymestic syndrome, in which every experience is imprinted on the conscious mind in minute detail and vivid, intrusive memories can well up so suddenly and intensely that the past threatens to overwhelm the present. For a detective, it is both a handicap and an asset. Brenna has had to develop coping skills to refocus her attention in the here and now, and has found ways of putting her renegade memory to work for her. She sublimates the anguish of not knowing what happened to her older sister into locating missing persons, at which she excels. She's got a 27-year-old pretty-boy assistant whose attitude toward women drives her to distraction, a sometimes-tense relationship with her teenage daughter, and an Internet friendship with her journalist ex-husband. The unsolved case of a vanished child, Iris Neff, has haunted her for years. Now a new case is pulling her back to Tarry Ridge, the town where Iris disappeared, and there's a tenuous but intriguing connection between the missing woman and the child she failed to find. It's this connection and her commitment to justice that keep Brenna on the case when the missing woman turns up dead in the trunk of her client's car and the police decide it's a simple domestic homicide. 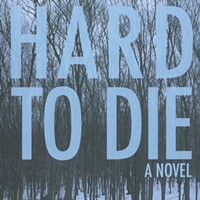 Brenna has her doubts, and manages to find one ally on the police department; when other people with connections to the matter die at an alarming rate, she is even more convinced that nothing about the case is simple. The scarier things get, the deeper she delves and the more determined she becomes, powering her way through blind alleys, anguish, and danger. Something smells bad in Tarry Ridge, and as Brenna follows the scent, it becomes obvious that the fish is rotting from the head down: Her adversaries are powerful and connected. A handful of clues—an altered case file, a mysterious blue car, strange phone calls and a child's drawing—are enough to keep her in pursuit even after her client fires her and apparently hangs himself, leaving behind a written confession. Anyone might give up, but Brenna has instinct and nerve to spare. The pieces will fit together, and she will find out how. The villain she's up against, the psychopathic tool of the outwardly respectable forces controlling Tarry Ridge for their own benefit, is a deeply scary dude. Fortunately, her assistant has a brain in that pretty-boy head (and top-notch computer skills), and her cop buddy an honest heart. 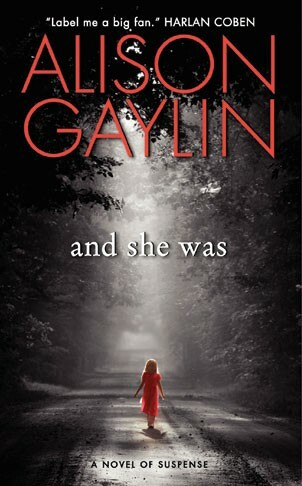 Gaylin breathes life into her characters and crafts an engrossing and moving mystery that twists and turns, building to a terrifying climax; your heart will be racing along with the plot for the last few chapters. She paints a savvy picture of corruption and its consequences, and a woman wrestling with her issues and pinning them to the mat. Readers of And She Was can rejoice: A sequel is coming in the fall. 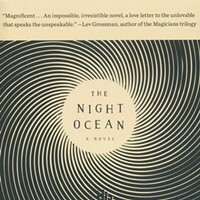 Readings: 3/3 at 6pm at Woodstock's Oriole9, sponsored by Golden Notebook. 3/17 at 2pm at Kingston's Barnes & Noble.